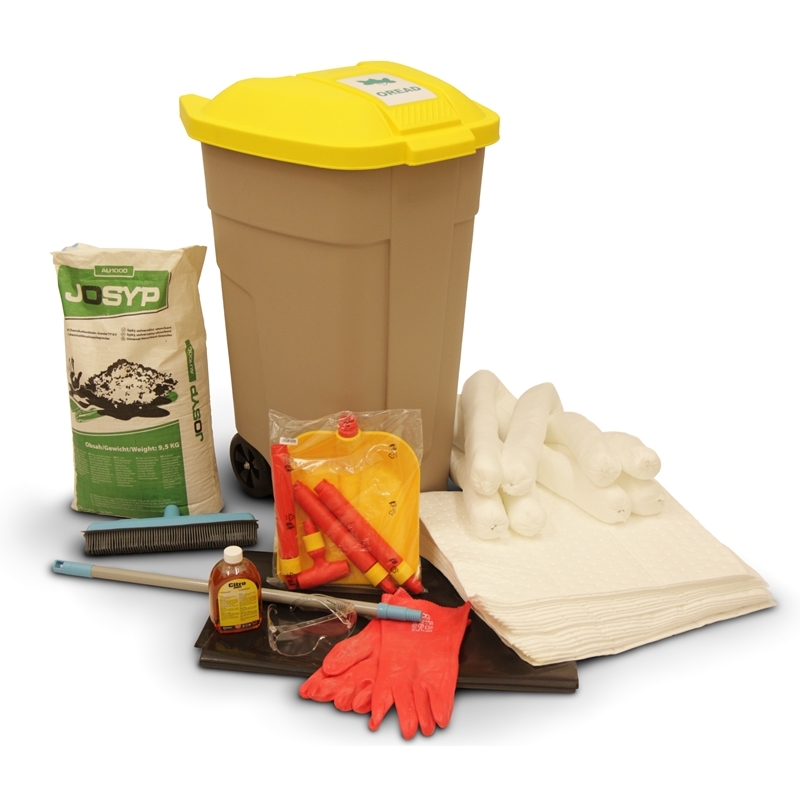 Use this wheeled kit to bring Oread absorbents directly to a large oil or oil-based spill — all in a highly visible container that really stands out! Need a custom kit? Call us!